So, you are back from being challenged, motivated and super-charged at a New Life intensive weekend workshop. Maybe you are feeling super-charged spiritually and ready to talk about your experiences. “Hey honey let me share what happened, and what I just learned!” Her response of “uh-huh, what-ever, what about me?” should not surprise you. How you respond to your wife, post an intensive weekend workshop, with any information will be vitally important to show HOW you are working recovery and reconciliation by listening to her side of the story. In the early stages of a couple’s healing the events of your behavior may be in the past, historically, but they are not in the past emotionally for anyone. Yes, you too. Healing in the relationship will come through periods of communication, super-charged with the emotional fruit cocktail of caution, apprehensions, fear, hurt, grief, and despair. DON’T judge or say “that was is in the past, that’s not me anymore, you need to forgive me to move on…“ It is time to SHOW her it is in the past by the new manners of behavior and communication. This is not about using the right tool to fix the situation, but the right keys to unlock the defenses and blocks to your wife’s heart, mind and soul. These 5 keys, that many miss, are the opportunities for restoration and recovery in the relationship. She, too, has a story to tell and an experience to process. Since the relationship is changed forever, you cannot/must not go back to the old manners in communication with your wife (or behaviors for that matter). It is important to respond to her than reacting. Reactive communication is a super-charged signal of defensiveness. It was in that old nature of reactive communication that a destructive deception and manipulation was nourished all too well. So, any sign of that reactive communication is going to trigger suspicion in your wife and stall healing. The first key in your communication model should start with an internal intention of showing love and grace in speaking and listening. The next steps to create a listening experience is the use of three active keys. Before they are detailed, let it be known that problem solving, Mr. Fix-it, is not going to be discussed in this article. Even though research has shown that when the primary components of listening are worked through first, then problem solving and resolution have a higher probability for success, such discussion is for another article. Attending has three sub factors: (1) look at the person talking to you; (2) listen to what exactly they are saying (not what your mind is thinking and feeling); and (3) track/follow her line of thoughts and feelings in what is said. Pause your opinions and judgments. Manage your attention by not physically reacting. Like rolling your eyes, deep sighs. Put your thoughts and opinions in timeout and sit with the discussion of information being shared. Acknowledging is about reflecting back in brief statements the thoughts and feelings being heard and understood. This does not mean a lengthy sentence. Think of acknowledging your spouse with simple words as she shares, such as “yes, that is sad, how awful, I would be frustrated too, I would hate that too, mad, uncomfortable, disappointed, how exciting,” etc. Nod your head showing your understanding at the points you “get it” when she expresses something. Don’t shake your head in disagreement, manage that to the side. If that happens you are no longer tracking with the information being shared, you are forming an opinion. Inviting is about when you see that your wife is pausing or seemingly holding back on sharing, and you suspect such by the look in her eyes, you encourage her to share by, “keep going;” “tell me more;” “I am with you, please continue;” or, “is there anything else you want me to know?” Then pause and wait. Be still. These 3 keys (attending, acknowledging, and inviting) give the opportunity to hear the heart, mind and soul of your spouse. If you work all keys it will provide an open doorway allowing you to step into her emotions and thoughts. Perhaps you have not noticed thus far, there is nothing about giving feedback or fixing what was being shared by your spouse in these first 4 keys. That is because the keys permit a space to allow your spouse to experience her thoughts and feelings without correction, distraction, or manipulation. As a side note: It is important to know that communication of thoughts and feelings should never be expressed through physical aggression. Appropriate boundaries may need to be set if either one of you have such difficulty. This may include a higher level of professional in assisting safe boundaries and guidelines. 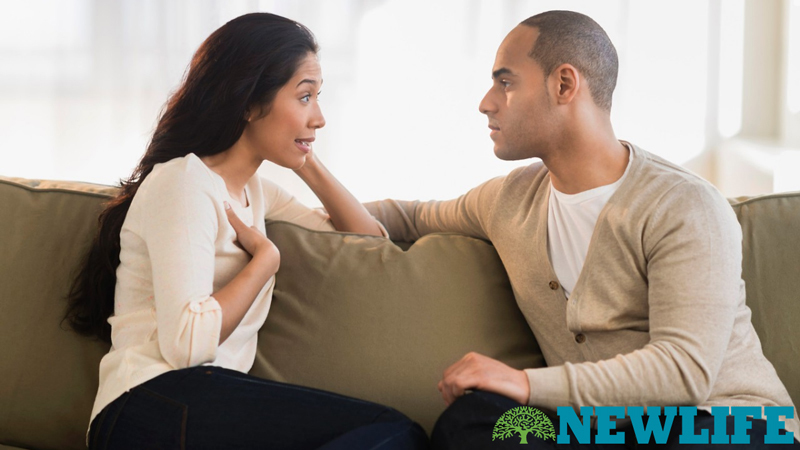 At the same time it is also just as important to know that when listening to your spouse, it may appear to be verbally abusive and aggressive. Where it may be, in reality, she has invited you into her world of thoughts and feelings of her pain. Thus, to show you have tracked her is evident as displayed in the 5th key. Here you give a brief summary of what you heard and understood, nothing added based from your opinions or judgments (save it for later). The brief statement is expressed once she has acknowledged she’s finished and has nothing to add, you start with “this is what I understand about what you shared about…,” “I heard you say…,” “I suspect you feel….” And then, the final clarity question of the 5th key, “Dear (insert your own term of endearment), is this right? Did I miss something?” If there is more for her to share then return to keys 2, 3 and 4 as she continues. These keys have the potential to build empathy, remorse and true intimacy with any person in your life. It is important to attend to, acknowledge, and invite. Such super charged listening skills is a pathway to be invited into another person’s world as they experience it. If the information being shared is abused, made fun of, not attended, acknowledged, or invited to expound upon, one will commonly shut down. Listening then, is truly about following, not directing.